Real estate rehabbers are natural-born entrepreneurs. Being a rehabber is like running your own business. You must be a marketer, a salesperson, a product expert, an accountant, and a people manager. Yes, it all means that you’re a control freak who insists on being directly involved in every aspect of his or her business. If it describes you, then read on. You can now also assume direct control of your retirement planning by learning more about investing in real estate via non-recourse self-directed IRA loans. In our previous blogs, we’ve discussed what non-recourse loans are and the advantages of self-directed IRA’s. In short, they allow you to expand your investment options way beyond the stock market, be in direct control of those investments, and re-invest profits tax-free. This is exactly how Mitt Romney grew his IRA to exceed $100 million. Managing self-directed IRA’s can be complicated, and every mistake can result in revocation of its tax-deferred status and severe penalties. There are a lot of rules to remember. For example, your IRA is not allowed to purchase a property that is owned by you or your close relative. All expenses on the property must be paid by your IRA and all profits must return directly to it. You and your IRA are considered two different entities and if you are purchasing a property with your IRA, it’s your IRA and not you who must hold the title to it. All this complexity requires that you work with an experienced IRA custodian to help meet stringent IRS requirements and allow for regulatory oversight and audits. 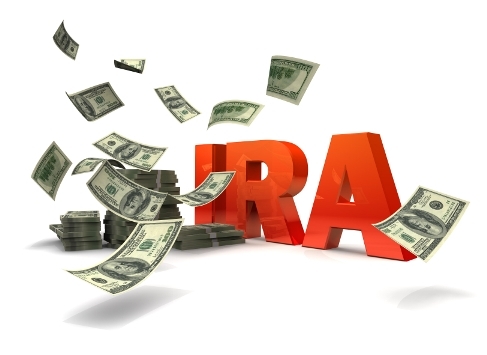 All IRA accounts require custodians, but you need to find a reputable custodian that specializes in self-directed IRAs. To select a self-directed custodian, you need to carefully evaluate their costs, the level of support they provide, and their reputation. Typical costs range from several hundreds of dollars to several thousand dollars for initial account set-up and ongoing services. A reputable custodian can be worth every penny. They will help you understand the murky IRS codes and make sure you follow them to avoid penalties. Even with fees, you pay to your custodian, owning a self-directed IRA account could by far outweigh the costs of ownership in a taxable structure. Self-directed IRAs are growing by 21% year-over-year and the majority of those IRA’s are invested in real estate. If you own a retirement fund that is not affiliated with your current employer, it’s time to learn how you can accelerate its growth. New Funding Resources is the premier private lender that specializes in non-recourse loans and works with the owners of self-directed IRA’s interested in investing in real estate. Of course, owning a self-directed IRA account is not for everyone. If you are planning to invest in real estate, you probably should have at least some record of success in doing that in the past. Remember, your custodian will not be offering you investment opportunities or evaluating the ones that you have. They just make sure you are following the rules and directing your money to and from your account in a way that meets the code. You also need to work with an attorney and CPA who are fully educated on the IRS rules for self-directed retirement accounts. Investing with self-directed IRA is not a get rich quick scheme, but, if done correctly, it’s an amazing vehicle to multiply your long-term wealth. To learn more about non-recourse self-directed IRA loan terms, or to get pre-approved for a loan in Washington, DC, Maryland, or Virginia, contact New Funding Resources today.